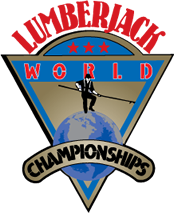 Volunteer for Lumberjack World Championships with VolunteerLocal - simple volunteer registration Register to participate with Lumberjack World Championships through VolunteerLocal! Thank you for your interest in volunteering for the Lumberjack World Championships! August 1 - 3, 2020. All duties take place at the Lumberjack Bowl - 15670 County Rd B, in Hayward, WI.